Lutz has a dedicated area of our practice to service the needs of employee benefit plans. Our Employee Benefit Plan Consulting and Compliance team performs audits of plan financial statements, tax preparation and review and provides consulting services. Our team currently provides audit services for approximately 100 employee benefit plans with plan assets up to $500,000,000. We also provide compliance and consulting services for over 90 employee benefit plans. We understand the complexity of performing employee benefit plan audits, therefore, we plan and execute our approach in a way that maximizes efficiency for the highest quality audit possible. Our team will also provide your plan administrator and human resources personnel with confidence in plan reporting and management. Our dedicated team possesses specialized knowledge and experience to help ensure compliance with the appropriate standards and changes in regulations that may impact your company’s employee benefit plan. We stay current in this highly technical practice area by attending extensive continuing education programs including the annual American Institute of Certified Public Accountants (AICPA) National Conference on Employee Benefit Plans. We also review monthly publications from various sources and participate in frequent webcasts and conference calls on emerging technical plan issues as part of our membership in the Leading Edge Alliance and the AICPA’s Employee Benefit Plan Audit Quality Center. As a member of these organizations, we are committed to adhering to the highest quality standards by voluntarily agreeing to the membership requirements. The requirements include designating a practice leader who is responsible for our employee benefit plan audit practice, establishing quality control programs, performing annual internal inspection procedures and making our peer review report findings publicly available. At Lutz, our goal is to continue to enhance our quality initiatives in the employee benefit plan practice to deliver the highest quality audit services possible.  Additionally, Lutz’s Employee Benefit Plan Consulting and Compliance team includes a number of additional partners and managers and a significant team of staff auditors. With over 170 employees in the firm, we have the resources available to successfully add any size of engagement to our existing employee benefit plan practice.